Reading this article is your first step towards an involvement in one of the most fascinating areas of aviation today. 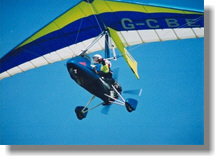 Microlight aeroplanes have developed over the past few years into a sensible alternative to other forms of aviation. With most aviation pursuits you are restricted to operating in a club environment. Gliders, for instance, require a whole team of people to get the machine in the air. Light aircraft on the other hand are extremely expensive to operate on a personal basis, and pilots are normally restricted to hiring a machine from a local club. Microlights, however, have changed the face of sport flying. There are two basic and distinctly different types of Microlight aeroplanes. The first is a weight-shift or flex-wing, which is based on hanglider technology. These machines usually have two seats and are specifically designed to be easy to fly and just as easy to rig and de-rig. 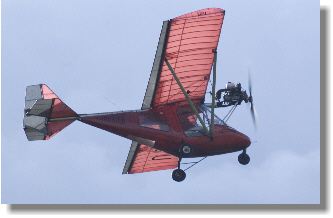 The other type of Microlight is the conventionally controlled 3-axis aircraft. These look and behave like perfect miniature aeroplanes and are controlled in exactly the same way as normal aircraft. Both single and two seat models are available. Microlight aeroplanes, although not difficult to fly, do require formal training. This training is required by law, and leads to a National Private Pilot's License (NPPL) with a Microlight rating. Both types of aircraft are available for training, however you can only be trained on one type of machine to get your licence. Once a qualified Pilot you can convert to the other if necessary. DIY mechanics does not compromise safety in any way. Microlights are required to undertake a yearly inspection, much like the MOT test. The aircraft is thoroughly inspected and flown by an approved inspector. Only those planes that pass this comprehensive set of checks, will be given a certificate of airworthiness. If you are still interested, why not look at our lesson pricing and read more about the cost of owning and flying a microlight.